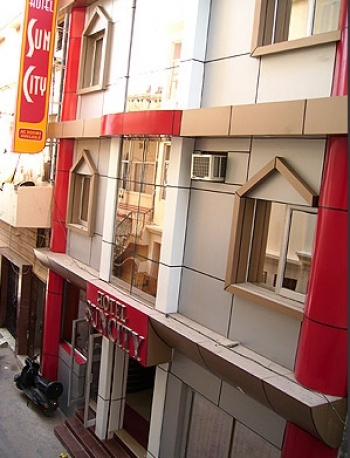 Hotel Sun City offers quality that is consistent at an affordable price in Haridwar. This down-town hotel is located in the Haridwar with a host of amenities and facilities for both the Business and Leisure Traveler. Jolly Grant Airport is about 25 kms from the hotel. Similarly, Railway Station and Bus Stand are located within a mere distance of 1 km from Hotel Sun City. The famous Har-Ki-Paudi and Mansa Devi Temple are 1 kms from the hotel Sun city. The hotel Suncity offers an exquisite accommodation in the most comfortable rooms. 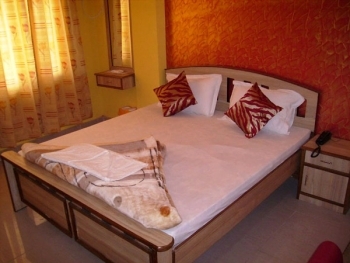 The rooms are categorized as Non AC Standard, AC Deluxe, Executive AC, Family Suite rooms. Rooms with different tariffs are decorated beautifully and well furnished with fine fabrics and have curved rose wood furniture. Luxurious bathrooms furnished with marbles, with color television inside the room to enjoy international channels. Telephone facility is also available in the room, to serve with excellence. There is a multi cuisine restaurant in the Suncity hotel providing you with a range of Indian, Chinese and Mughlai delicacies. A beautifully designed Conference Hall which can accommodate upto 30 Delegates for Conventions, Conferences, Exhibitions. - Rates/Taxes are subject to change without notice. - Valid for FIT bookings only not for groups or special rates. Air : In the region Air Services are available only upto Jollygrant airport in Dehradun which is 35 kms. from Haridwar. Road : Haridwar, on the main highway, is connected to all major centers in the region and other parts of the country by road. There are buses available from Delhi to this place.